Battlefield V’s full reveal is finally happening tomorrow, but this isn’t preventing more on the game from surfacing online ahead of the big event. Earlier today, the game’s key art has surfaced online, giving more hints at the yet to be revealed setting, which seems to be World War II. You can check out the key art below. 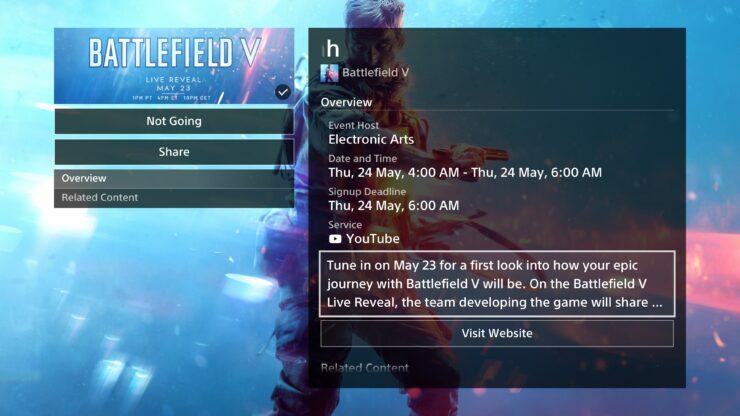 Just yesterday, DICE shared a very short Battlefield V teaser, featuring some HUD elements as well as two flags which point at the already mentioned World War II setting. This seems at odds with older statements, which spoke of a brand new setting for the series. There could be some surprises in this regard, and thankfully we won’t have to wait much longer to learn more about the matter. DICE is also promising new experiences and play mode for the game.